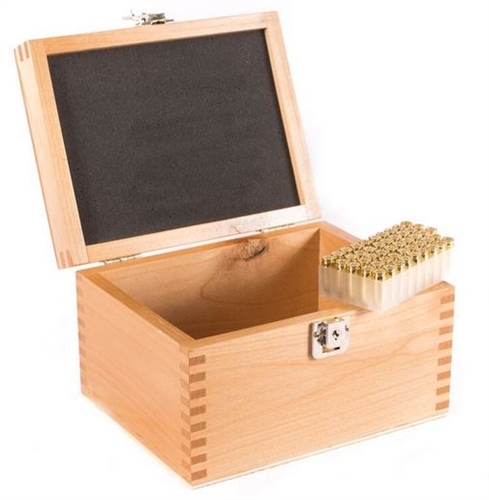 9 1/4" x 7" x 5 3/4"
Locking Ammunition Box in natural finish, constructed in solid alder wood. 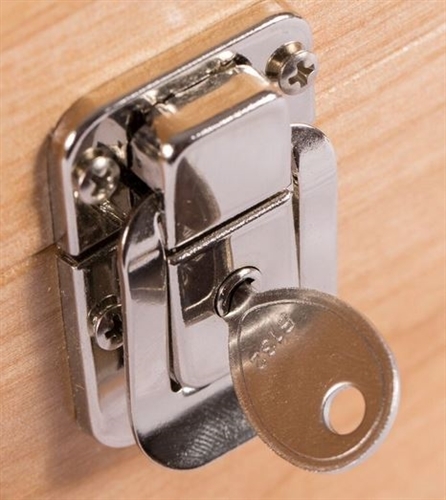 Quality construction ensures ruggedness. 9 1/4" x 7" x 5 3/4". Made in the USA. 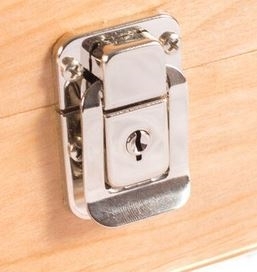 ChasingTreasure is an authorized dealer for American Chest Company, whose manufacturing facility is in upstate New York. 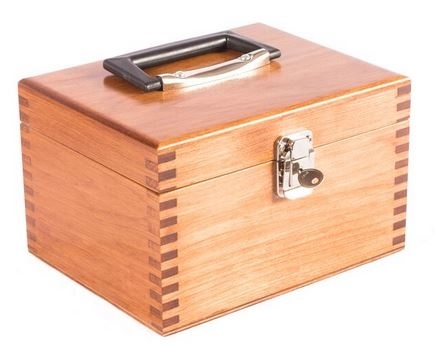 No two pieces of solid wood are ever the same, as each hardwood flatware chest started as a unique tree. In the wood of every tree there are nutrients and minerals drawn from the earth which “fed” the tree in its growth. Traces of these minerals make themselves shown in the “knots” and “mineral tracks” which are evident in the hardwoods that are used to make these beautiful products. This Evidence of the Life of the Woods are what add the character to each of these handmade pieces! This is guaranteed: no two chests will (or can) ever be the same. See & feel the beauty of the wood with its natural identity and character. The differences in the wood shows the enduring & unique beauty that the living tree bestowed to each chest made by American Chest Company.